All about lifestyle, celebrity gossip and entertainment! Last evening celebrated the music launch of the film Ishqedarriyaan at Fun Republic in Mumbai starring Mahakshay Chakraborthy, Evelyn Sharma and debutant Mohit Dutta directed by VK Prakash and produced by Rajesh Banga. 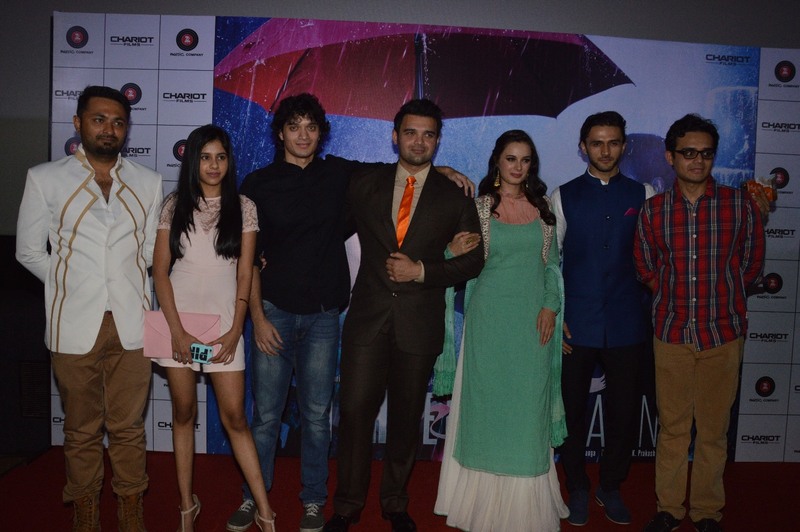 The leading cast of the film was present at the event along with the producer and director. One of the music directors Jaidev Kumar, singer Asses Kaur and lyricist Kumaar were also present at the event. Chakraborthy. In addition, the event was attended by Marathi film actor Sachin Khedekar, cinematographer Ravi K Chandran, actor Ravi Khemu (Kunal Khemu’s father) among others who are friends of the director. Mahakshay and Evelyn performed a special duet that they prepared for the media on the title track of the film of the film followed by a singing performance by Asses Kaur on the song called Mohabbat Yeh.